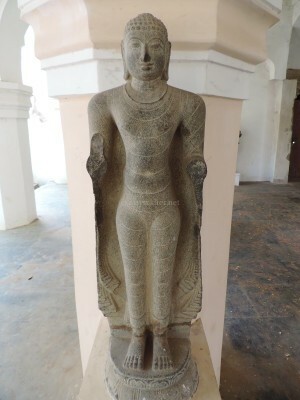 Boddhisatva idol at Vayalvaram, Chempazhanti. Recovered and installed by John Dharma Teerthar some 75 years ago. 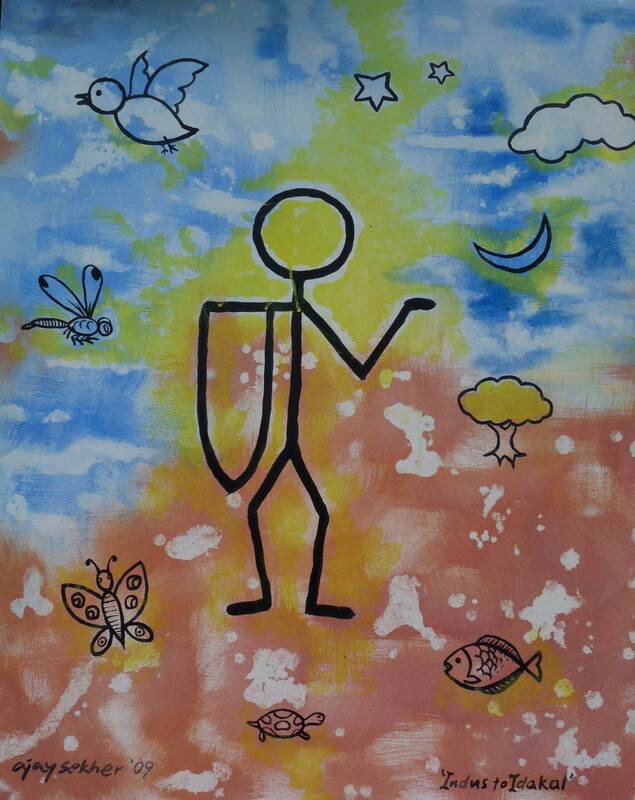 Mark the minimalist Utariya over the left shoulder. 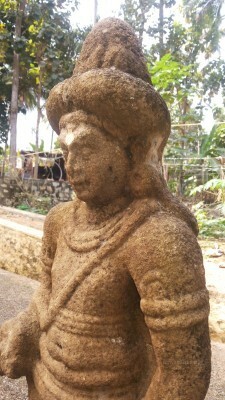 The Boddhisatva idol in a deeply engrossed meditating stance at Chempazhanthy by the birthplace and natal hut of Narayana Guru has become a familiar figure to most of the visitors. 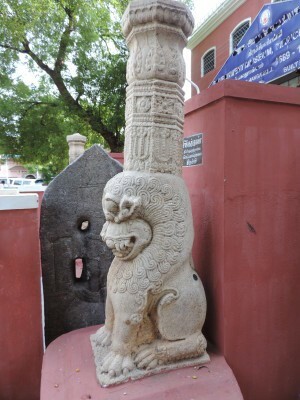 It was recovered in early 20th century by his disciple Swami John Dharma Teertha (formerly Chatanattu Parameswara Menon) from an ancient Buddhist site close to Vayalvaram house (the region including Patira Pally, Kunnam Pally Konam and Ilaya Pally Konam) and installed at the birth place of his spiritual master; often called the “Kerala Buddha” and “Sri Narayana Buddha” by poet disciples like Sahodarn Ayyapan and Pandit Karupan. 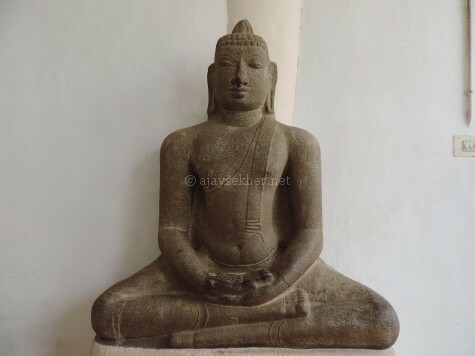 In Kayikara the birthplace of another disciple of Nanu Asan, that of poet N Kumaranasan, stands another granite idol that joins hands in lotus bud posture in life size. 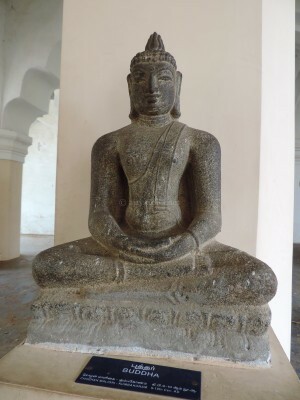 It is also identified by scholars as a Buddhist idol depicting the Siddha or Upasaka figure in Tantric Buddhism or Vajrayana that sustained in Kerala till 14th and 15th centuries in disguise struggling through Hindu Bhakti waves of Saivism and Vaishnavism. It is also called Tozhuvan or the one who is in the lotus bud pose joining the hands in a devotional stoop. There are place names all over Kerala involving the Tozhuvan affix like Tozhuvankode, Tozhuvanur, Tozhuvankonam etc. The point is that all the three major schools of Buddhism have their sculptural relics and archeological remains in Kerala in transformed ways. 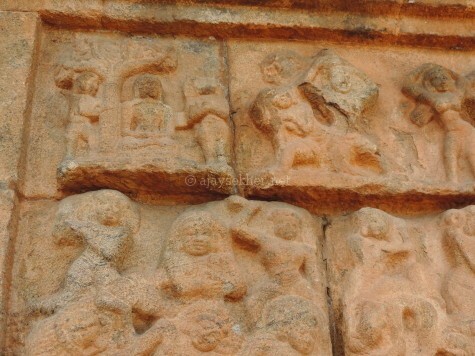 The Teravada Buddhas in Mavelikara, Karumady, Kayamkulam etc are associated to the early Anuradhapura style unique to Elam and Keralam. The Mahayana Boddhisatva idols are converted to Muruka, Ayyappa and Kanna in current Hidnu temples from the middle ages onwards. The Vajrayana Siddhas and Tara Devis began to be increasingly called as Tozhuvans and Hindu Bhagavatis in the post middle ages. In the sixteenth century Chennas wrote Tantra Samuchayam and absorbed the Tantric Buddhist deities into the Tantric Brahmanic mode, eventually completing the take over. 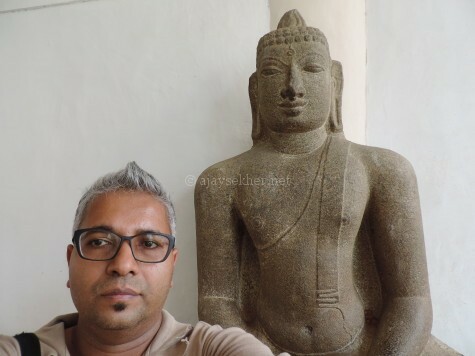 The recent discovery and identification of two Boddhisatva idols in Thrissur and Ernakulam districts in late 2014, are important and vital connections in understanding the Hinduization of early Buddhist shrines and idols in Kerala. The Avalokiteswara idols are crucial links in the transformation and modification to the Hindu Sasta cult a combination of Saiva, Vaishnava compromise done on Buddhist and Jain deities. Avittatur is a village near Irinjalakuda in Thrissur district of Kerala. Irinjalakuda as the name shows was a Jain and Buddhist centre till the middle ages say historians. Alavattam or ceremonial white whisk made with Yak hair and rounded majestic hold along with Mutukuda or sacred jewelled umbrella are key Sramana icons safely embedded in the place name. 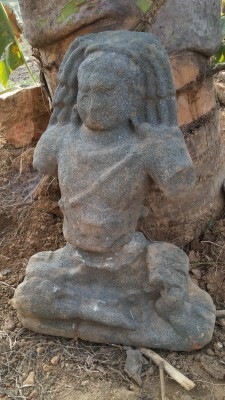 Boddhisatva idol recovered from Ayyanchira pond in Avittatur near Irinjalakuda in late 2014. Photo by Abi Tumboor. Now in state archeological museum Thrissur. Local legend has it that Irinjalakuda was ruled till the middle ages by a dalit (after the middle ages) ruler called Ayyan Chirukandan. A sword related to his life is still preserved in the Nambadan household nearby. Ayyan or Ayyar is an old Tamil word for the Buddha in ancient Tamilakam (Chera, Chola and Pandya lands) as Putan, Neelan, Kuttan, Tankan, Ponnan, Nanappan, Nagappan etc. 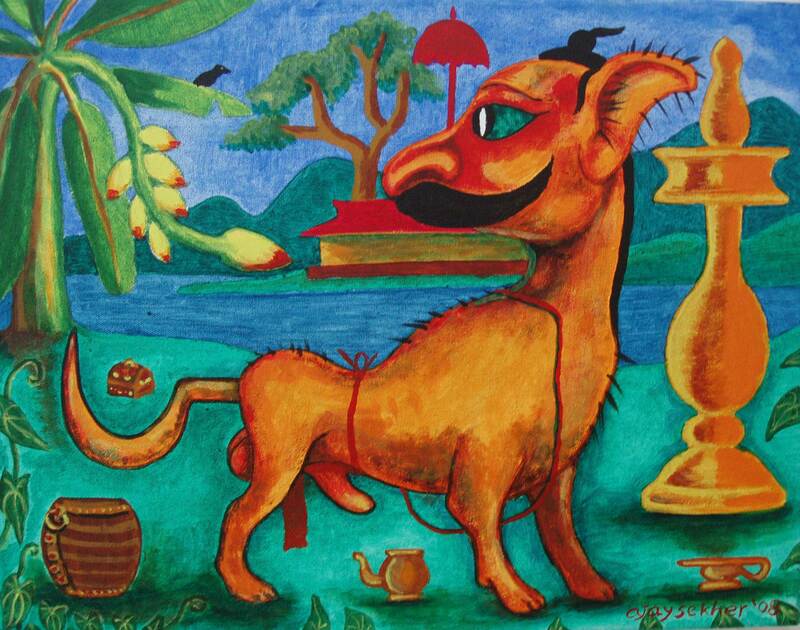 There are several Ayyan Kavus and Putan Kavus in Kerala. 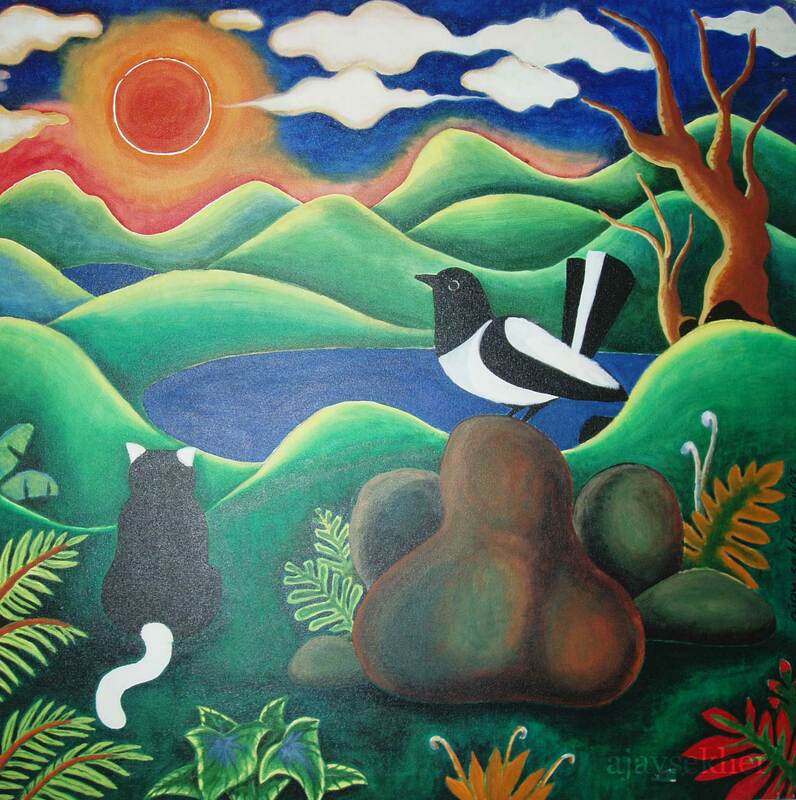 Avittatur or Agasteswara Putur has its etymological origin in Avalokiteswara Putur. Avalokiteswara Boddhisatva of Vajrayana was called Akatiya in old Tamil and that is why the ancient seat of Avalokiteswara at the summit of Potiyil Malai is called Akatiya Malai. This was later Hinduized as Agastya Malai and Agastya Koodam in the middle ages. In this analogy Agsteswaram is Akatiyesaram or Avalokiteswaram and Putur is just the village of Putan or Putar or the Buddha. This double signifiers related to Vajrayana or Tantric Buddhism (Avalokiteswara) and Teravada or early Buddhism (Putur) that was implanted here by the missionaries of Asoka in BC 3rd century show the prolonged connection with different schools of Buddhism over the ages; i.e. from BC 3rd century to the middle ages up to the 14th or 15th century. 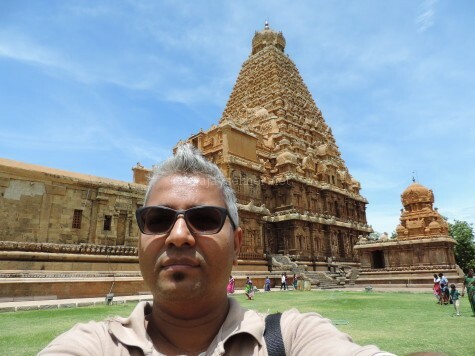 On the eastern coast in Nagapattinam and Tanjavur Buddhism was thriving even in the 16th century. Some of the Pallys or Viharas and Stupas on the Coromandal coast stood up to the British colonial times in 18th century. Mavelikara Buddha. 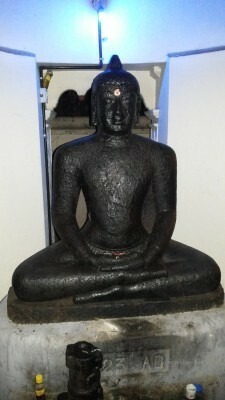 Related to early Teravada Buddhism in Kerala in Anuradhapura style. 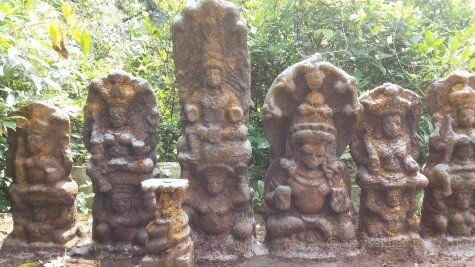 Recovered from the marsh near current Hindu temple and installed by the road in 1923 by the people. See the old style normal Utariya above left shoulder that shrunk in later Vajrayana age. 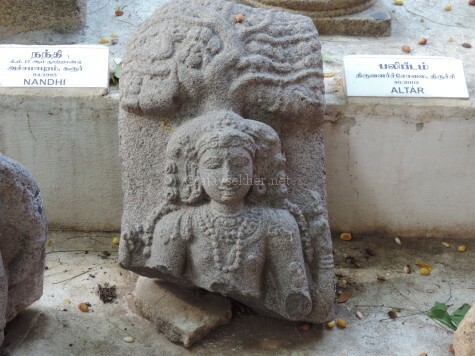 In late 2014 a granite idol was recovered from the ancient pond called Ayyan Chira at Avittatur. Ayyan Chira is named after Ayyan Chirukandan the old (dalit) Buddhist chief of the region. 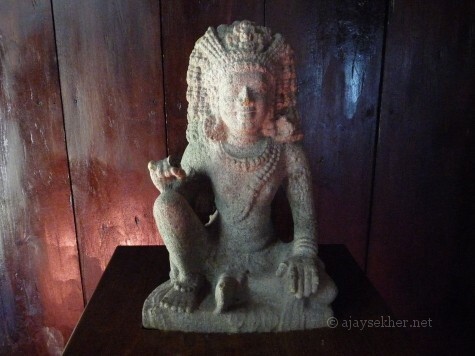 This looked more than a millennium old and was similar to the Boddhisatva idol recovered a few years ago from Karapuram or Chertala in Alapuzha district of Kerala. 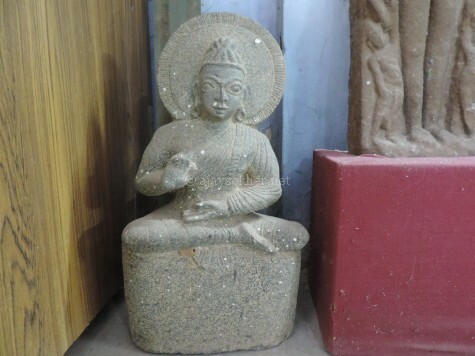 Prof P O Purushotaman in his book Buddhante Kalpadukal (Thrissur: Current, 2008) or the Footprints of the Buddha has given the clear image of this idol and identified it as Avalokiteswara Boddhisatva. His consort Tara Devi the female Vajrayana deity was also recovered from Karapuram. 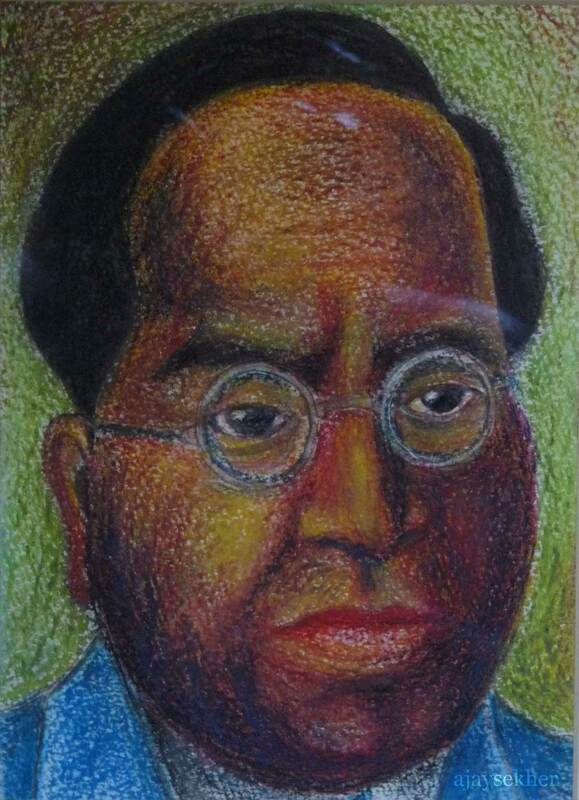 Prof Purushotaman has printed both the images to prove his point beyond doubt in the book. 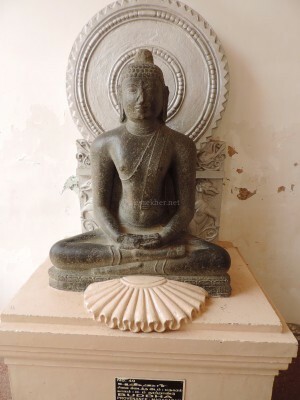 But unfortunately Kerala Archeology Dept Museum at Krishnapuram palace exhibits the Avalokiteswara idol with the tag “Sasta.” Sasta or Dharma Sasta is a synonym for the Buddha, but it is also a later Hinduized name that is used for Ayyappa. Actually as we have seen earlier Ayyappa is a Hinduized later version of Avalokiteswara. 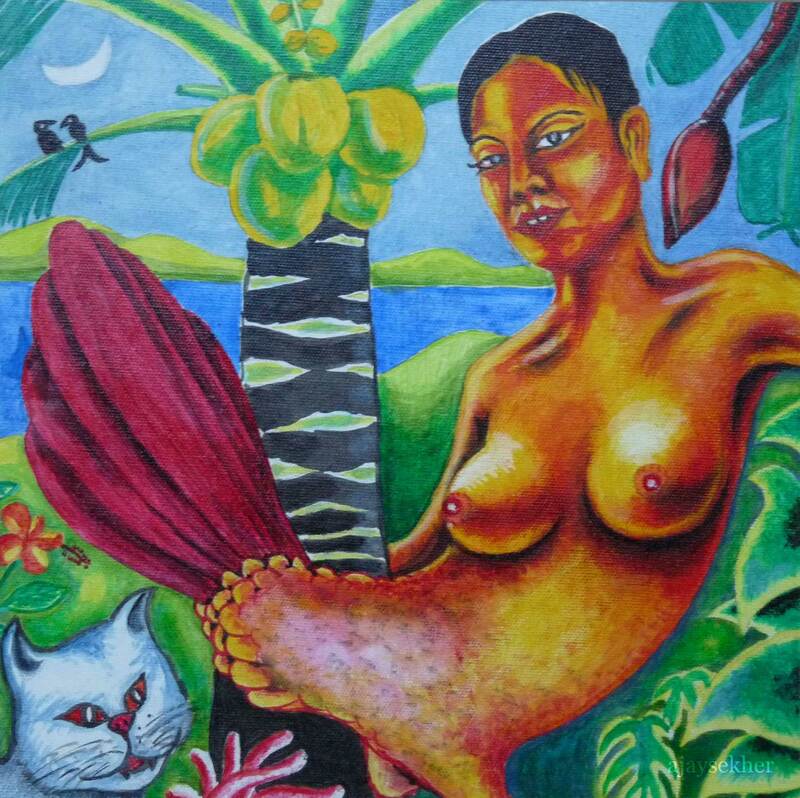 Tara demonized as Yakshi in Trikariyur temple. 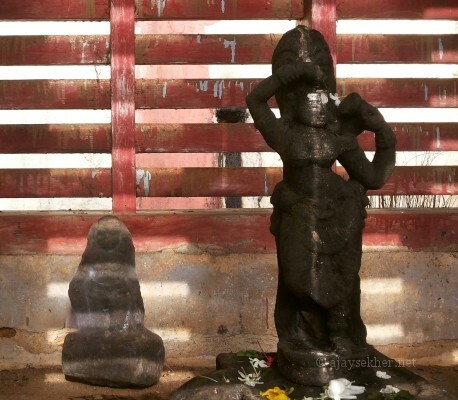 Similar idols of Tara are found in Yakshi and Rakshas modifications in Kulatupuzha and Neelamperur temples. 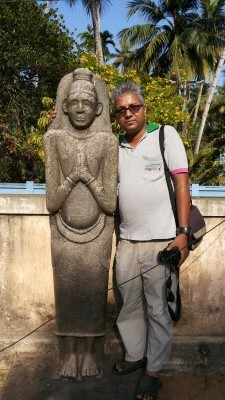 Boddhisatva idol recovered in Dec 2014 from Ponjasery Pukulam temple pond. See the elaborate hairdo, ornaments and minimalist Utariya in true Tantric Vajrayana style. 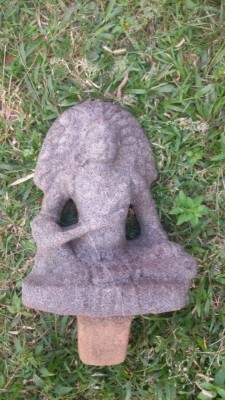 In December 2014 another similar Boddhisatva image was found in the pond near the Pukulam temple near Ponjasery on the Aluva-Perumbavur road. Mr Ismayil Pallypram a local historian and researcher was instrumental in bringing it to the media discourse. The priest himself confirmed that the thread like thing over the left shoulder is not a Brahmanical sacred thread or Punool but a minimal Utariya and the idol could be Buddhist in origin. The tie of knot is visible on the minimal rounded Utariya like the ones worn by people enacting the post cremation rituals even today. 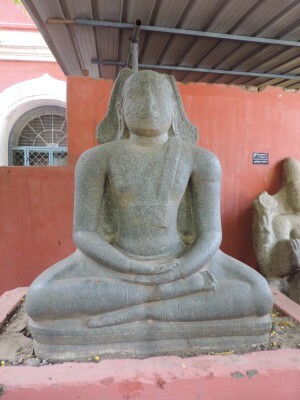 The same rope like Utariya is also visible on the Boddhisatva idol at Vayalvaram house. 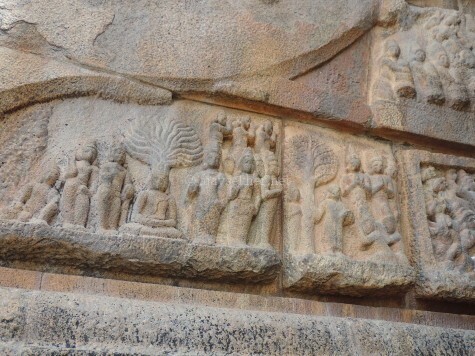 Elaborate hairdo, ornaments, seating posture and the abandoned state in the pond below the current Hindu temple confirm the Buddhist identity of the sculpture. It is also split into two at the waist. 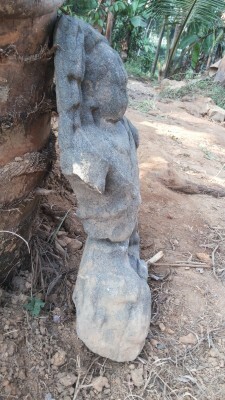 Local residents and temple committee members like Mr Aji also informed that he has seen the stone pedestal of the idol in his younger age lying in the muddy pond. Ancient Naga deities in a Kavu or sacred shrine in Pala. 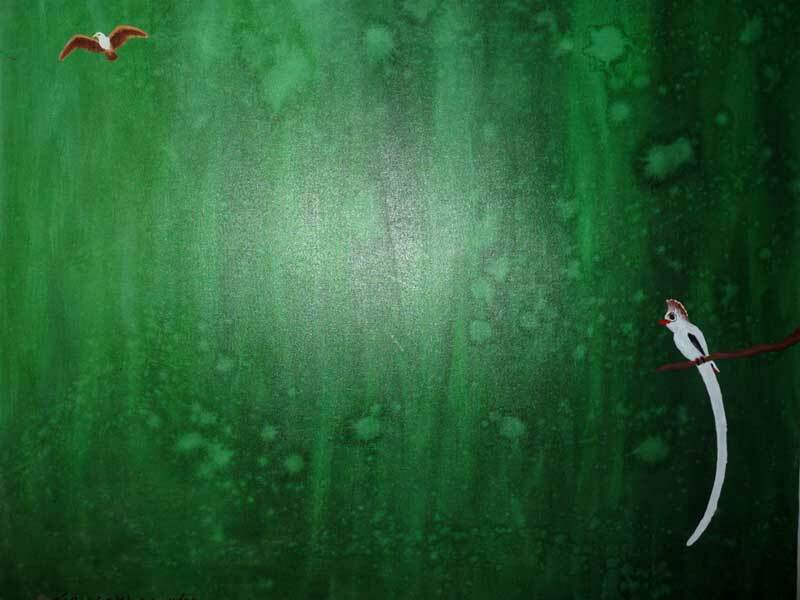 Conservationist culture of early Buddhism is reflected in Kavu culture. Kavu means Kanyakavu or the Boudha nuns who composed texts like Terigadha. It must be remembered that all the Buddhist idols so far recovered from Kerala were unearthed from temple ponds or marshes close to current caste Hindu temples. Mavelikara, Kayamkulam, Karumady, Pattanam etc are examples of such chanced recovery from Hindu temple vicinity. 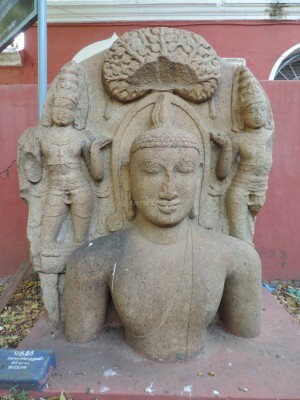 Utariya, Ushnisha and Jwala are the common markers of the early Teravada Buddhas in Anuradhapura style in Kerala. But in Mayana and Vajrayana Boddhisatva idols we have much more charming and dashing male seductive figures with moving postures, ornamental elaborate hairdo and jewellery. The misinterpretation and hideous misrepresentation of the minimalistic short Utariya as sacred thread is the covetous strategy through which caste Hindu lobbies in the state department of Archeology are reappropriating the sculptures to the Hindu fold. It must be remembered by the people that it was the same Savarna caste Hindu forces that assimilated most of the early Jain and Buddhist shrines and idols as numerous Hindu deities with minor modifications in names and attire. It must also be remembered that most of the invaluable icons of the Sramana age were abandoned and disposed in rivers and water bodies by the Brahamanical priestocracy in the ritual called Nimajjana by saying that an old broken idol is an evil omen. Boddhisatva idol recovered from Pukulam temple pond at Ponjasery near Aluva. Broken into two and probably demolished and disposed in the ancient Chira or tank with perennial spring that watered the surrounding paddy fields. When people recover these deposed, demolished, fissured and disposed idols again from the soil and identify their true Amana or Chamana heritage; Brahmanism and Savarna Hindu ideologues in the media and state cultural institutions again mark them with a Hindu hegemonic tag and a sacred thread that re-entangles them in the metaphysics of the second sacred birth. But the mockery is that the same forces of the sacred thread are reluctant to give the same dubious Brahmanical tag thread to the home returnees in their reconversion programme called Ghar Vapsi. The Maharajs and Sadhvis have made it clear that the home returnees will return to their old Sudra or Chandala Kulas and Gotras. It is high time that the people must realize such mass deceptions and cultural hegemony parading as “sacred religion and tradition” and reject the growing Hinduization of public treasures and archaeological relics. This entry was posted in Cultural Politics and tagged Asan Memoraial, Avalokiteswara Boddhisatva, Avittathur Boddhisatva, Avittatur Buddha, Ayyanchira, Ayyappa and Avalokiteswara, Boddhisatva idols from Kerala, Buddha idols from Kerala, Buddhism in Kerala, Buddhist iconography in Kerala, Kavus in Kerala, Mahayanam and Vajrayana in Kerala, Mayana Buddhism, Narayana Guru and Buddhism, Perumbavur and Buddhism, Ponjasery, recent buddhist idols from Kerala, Sasta and Buddha, Siddha of Kayikara, Swami John Dharma Teertha, Tantric Buddhism, Tara and Avalokiteswara, the siddha of Kayikara, Vajrayana in Kerala on January 27, 2015 by Ajay.